The Baby Bombers have sparked the Yankees to an improbable playoff run. At the end of July, the Yankees had just sold off their most productive players, and during that managed to be swept against Tampa Bay. The playoffs looked like a fantasy, but the future looked bright for the upcoming seasons. The Yankees made a commitment to a youth movement. 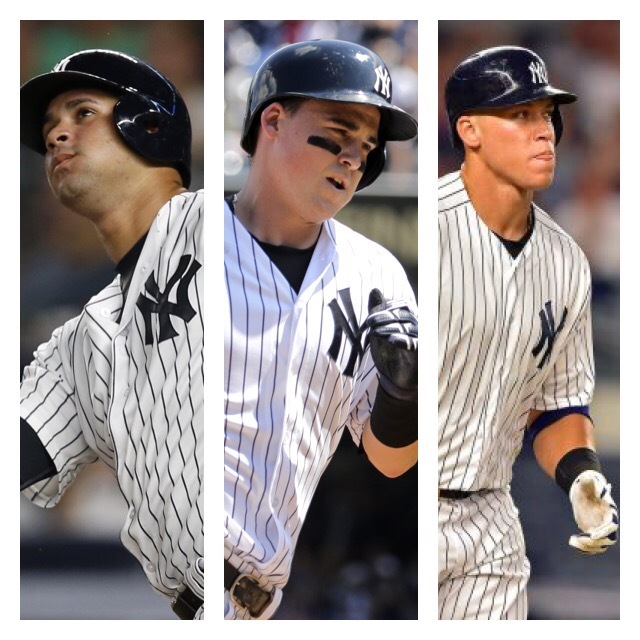 They completed that youth movement by releasing Alex Rodriguez and calling up Tyler Austin, and Aaron Judge. The Yankees got a spark from their young phenom Gary Sanchez by hitting 11 home runs in the month of August, and batting an unprecedented .389. He quickly become a fan favorite as he put the Yankees on his back and carried them to a hot August. On August 13 the Yankees had a 20 year celebration of the 1996 World Series team. Aaron Judge and Tyler Austin then made history when they went back-to-back in their first at bats in the Major’s. This moment was also somewhat of a symbolic passing down of the torch. The core four were all at the game and watched as they went back-to-back. The four Yankee prospects turned legends that won 5 championships together were there to watch the Yankees under go their first youth movement since they came up as rookies. The kids also made an instant impact on the team, and seemed as though they had sparked life into a Yankee team right away. Things didn’t go quite as planned though as they both slumped right after their first game in the Majors. Austin had gone 4-36 after his first game and was struggling to make solid contact, and Aaron Judge seemed to do nothing more than strikeout; however we learned a lot about both of them as they kept positive attitudes and handled their slumps like true veterans. During that time the Yankees had made some strides in the post season chase, but they still sat more than 3 games out, and after losing the first two games against Baltimore. They were faced with what Joe Girardi called a “must win” game. He also added that it was “The most important game of the year.” The Yankees would answer that with a big win over the Orioles at Camden Yards. The Yankees returned home for a series against the Blue Jays, and a playoff dream that was still alive. Though that playoff dream was still be determined on its legitimacy. The Yankees were able to win game one behind their ace Masahiro Tanaka. The Yankees played a thriller in game 2 that in my opinion was the turning point of the entire season. On Tyler Austin’s birthday he hit a two run homer to put the Yankees ahead 3-2, but in the bottom half of the inning Toronto looked to break the Yankees back by scoring twice in the 8th to take a 4-3 lead. In years prior that would have usually been the final blow in the Yankee coffin; however, the Yankees exploded in the 8th for 4 runs, and in the ninth after Betances almost blew the game. Blake Parker came in the game and stepped up to get a huge strike out. 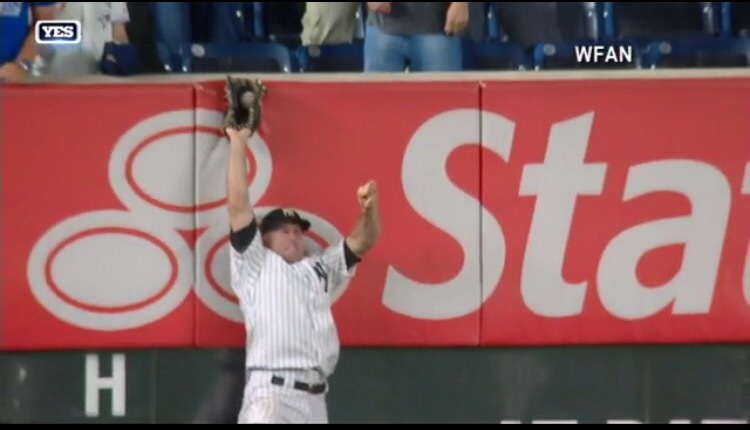 He then allowed what looked like it could be a game winning grandslam, but Brett Gardner got to the ball and made a great play on the wall. This Yankee home stand has proven to be magical as New York has surged it’s way within one game of the wild card. For the first time in years you can feel the magic inside Yankee Stadium, and it feels as though the ghosts of Yankee stadium have been rejuvenated by the energy of this young team. The Baby Bombers have everyone believing in themselves. The Yankees have capitalized on each player believing in their abilities. Everyone has made contributions to this team, and it seems a new hero emerges every night. Whether it be Bryan Mitchell making his season debut after being hurt against the Toronto Blue Jays, and getting the job done, or whether it be the ole veterans like Tex hitting a grand slam. This young group of Yankees have given a group of veterans something to play for. They have also given Yankee fans across the globe something to believe in. Regardless of what happens from this point of the season on. The Yankees have exceeded everyone’s expectations, and prove to have a very bright future ahead of them. Also, remember this group of talent is a group completely made up of Yankee farm talent. None of the guys on the team are the “blue chip” prospects they traded for. The Yankee tradition and spirit lives stronger than ever right now through these kids. It seems as though the Yankees are never out of a game now, and that anything is possible. Watching the game you can just feel the magic through your television set. This young Yankee team has re energized an entire organization and an entire city as they make their playoff push. This was a GREAT article about those mighty Baby Bombers what a writer we have!